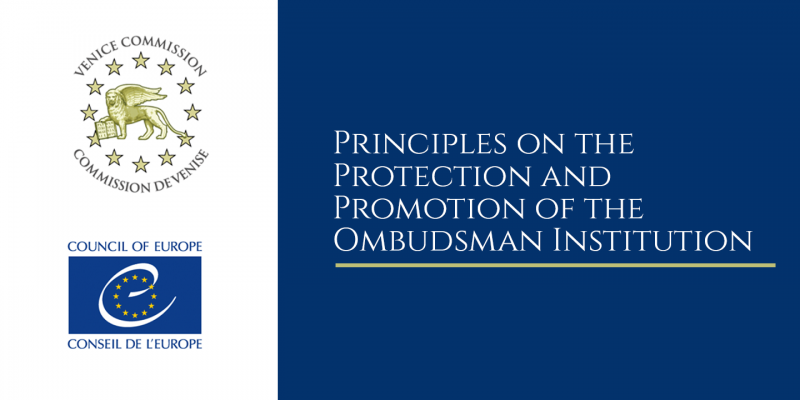 The Parliamentary Ombudsman, Mr Anthony C. Mifsud welcomes the ‘Principles on the Protection and Promotion of the Ombudsman Institution’, (“The Venice Principles”) that were adopted by the Venice Commission during its 118th Plenary Session. The 25 Principles play a key role in protecting existing Ombudsman offices who are facing threats, provide guidelines for the improvement of current Ombudsman Offices and set a template for new Offices where none are present. Ombudsman institutions now have a unique international reference text listing the legal principles essential to their establishment and functioning in a democratic society. The Venice Commission described these principles as the most comprehensive checklist ever compiled to ensure an autonomous and independent Ombudsman institution. These range from his/her election or dismissal, and the mandates of mediators, to financial and material guarantees necessary for their proper functioning.